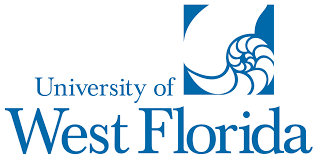 From its founding in 1963, the University of West Florida (UWF) has purposefully chosen to be different by design and maintains that intention today. UWF has grown into a vibrant, distinctive institute of higher learning. UWF has successfully expanded its nationally recognized undergraduate, graduate and targeted research programs, including programs offered fully online. Dedicated to helping students realize their full potential, UWF favors small classes with fully qualified teacher-scholars who deliver personalized, innovative, hands-on learning and provide leadership opportunities.